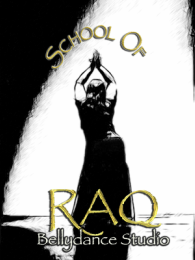 The School of Raq 10 week Fall Session commences on Monday, September 12. The recital will be held on Sunday, December 4. Receive 15% off your third class, 20% off your fourth.....etc. Contact the studio and we will hook you up! Congratulations! You've taken the plunge and have decided to try Bellydancing! Literally translated Raqs Sharki means "Dance of the Near East" but is also referred to as Cabaret. This is the style that most Westerners are familiar with as it is often seen in restaurants, festivals, weddings, and various other celebrations. Traditionally Raqs Sharki is an improvised solo dance, however dancers may also dance choreographed pieces in groups. This is where it all begins! Learn basic bellydance technique and gain a better understanding of this ancient celebration of the female form. We'll put it all together in a fun choreography. 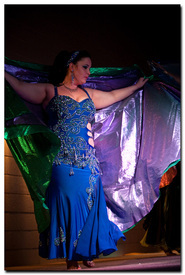 Prerequisite at least two sessions of Raqs Sharqi Lvl 1 or permission from the instructor. In this class we focus on putting it all together. Learn fun and challenging combinations in Nada's signature style. Later, put your combos together into a dynamic choreography. Come out and drill Salimpour style! This drill class with challenge you and refine your belly dance movements and technique, no matter what style you do. Work with timings quarter time thru full time and add in some fun footwork and zills for an additional challenge. Each class with focus on a different movement so you can work it out around the room. This class is NOT style specific. Enhance your technique then add your personal flavour on top. Prerequisite at least two sessions of Raqs Sharki Lvl 2 or permission from the instructor. Learn a brand new Turkish pop choreography with Shahenda this spring! This session we'll explore Turkish Oriental bellydance through technique & choreography. Turkish bellydancing is characterized by earthy hip movements, flirty hair tosses, powerful spins & sassy kicks. The movements are big, bold, energetic and full of raw sensuality. Finger cymbals will be required for this class. Previous experience playing basic zill patterns will be required. Check out the sassy song we're using this session. It's the infamous "Kiss Kiss" song by Tarkan! Tribal Fusion flowed out of American Tribal Style and is sometimes an improvised art form, but certainly not always. From my humble point of view, I would say that the key word in Fusion style dance is “evolution.” Of course the other styles of bellydance evolve, but they do not appear to me to have evolution and change as the “heart” of their styles. Rather, Cabaret and American Tribal Style provide the solid platform from which Fusion artists can jump in order to create their ever-changing style. Fusion is often associated with harder locks, and a more emotive tone. 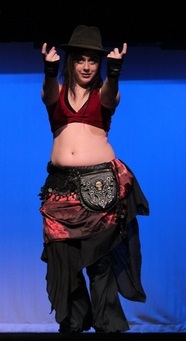 For some, this means “fusing” hiphop and bellydance. For others, vaudeville and bellydance. There are a myriad of different combinations to try! Still not sure? Get to know a little bit about Tania and her classes. Prerequisite at least one session of Raqs Sharki Lvl 2 or permission from the instructor. This class with focus on teaching and drilling basic technique for Tribal Fusion movements and combinations as well as improving on your pops an locks as well as your gooey goodness. The technique is largely based on Rachel Brice's Indigo dance troupe. 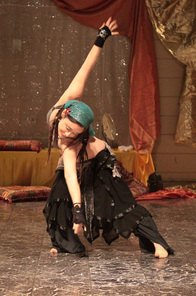 Prerequisite at least two sessions of Tribal Fusion 1/2 or permission from the instructor. The jump between levels is a big one. In this class, technique will be pushed to the limit! Layers with 3/4 shimmies and shoulder shimmies abound. Everyone needs to make time for themselves and you shouldn't have to miss out on all the shimmying goodness just because you have a hectic schedule! The following classes are a great way for you to get your Bellydance fix without having to commit to an entire 10 week session if its just not in the cards. You can choose to register for all 10 classes for $120 or you can Drop-In on a class by class basis for $15/class. Or check out our School of Raq Hall Passes. You'll save money when you buy in bulk and they never expire! Five classes for $65 or ten for $120. yours to use as your leisure! 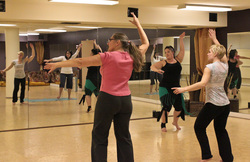 This classes focuses strictly on basic bellydance technique. If you have never bellydanced before, this is a chance to see what it's all about. If you have been dancing for years, this is a chance for you to work on your technique and see where you may have been cutting corners. 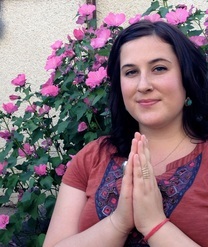 Come as you are to this holistic Hatha yoga class! This class is aimed to be accessible to all levels, free of competition and welcoming to every body with an emphasis on self-acceptance. There will be modifications available to suit wherever you are at the present moment and to help you find your very own “perfect pose”. We will explore a variety of physical postures, breathe work and meditation to both invigorate and relax our bodies, minds and spirits. Whether bendy or not come spend some time reconnecting to your inner joy! Not sure what to take? Why not all of them?